Chenese Bean - Cincinnati Makeup Artist for Commercial & Bridal — Tatyana & Alan! The countdown to the end of my busy 2015 wedding season will soon begin. And last weekends wedding was so beautiful, realizing that actually made me a bit sad. Tatyana and Alan tied the knot & partied all night at The Manor House, one of my favorite venues! 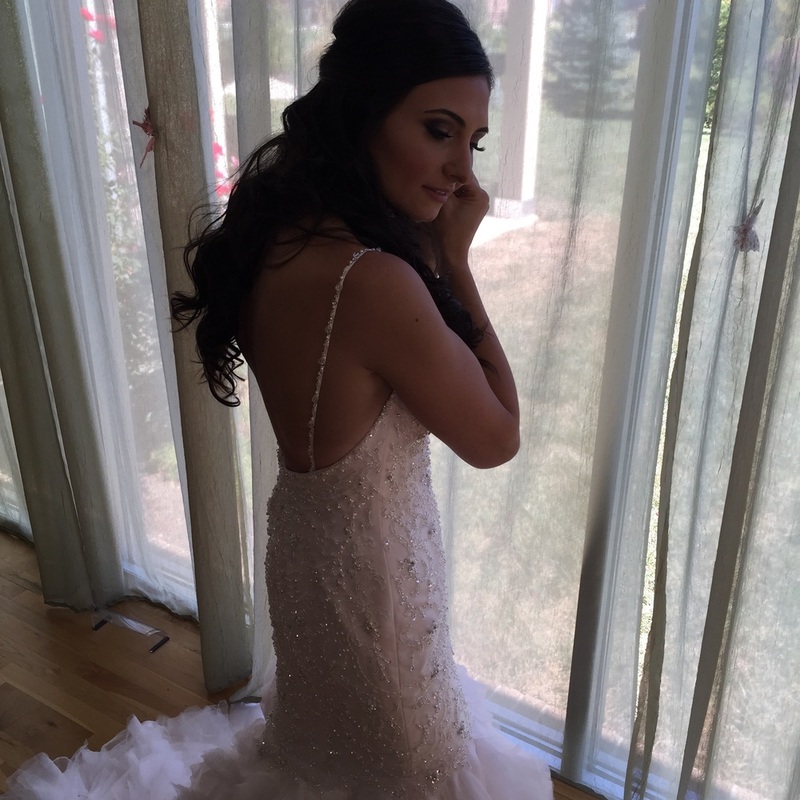 The direction I chose for her makeup was completely inspired by her Maggie Sottero gown from Bridal & Formal. Matte contoured skin with highlight and shimmer on various parts of her face. Shimmery smokey eyes using a Dior eye shadow palette, pink glowing cheeks by NARS and a shiny deep mauve lip. After curling her lashes, I applied not one but two pairs of false lashes by gluing them both together before application... one pair for lengthening and another for thickening. Hair for Tatyana and her entire bridal party was done by Melissa & Kara from Salon Neveah.